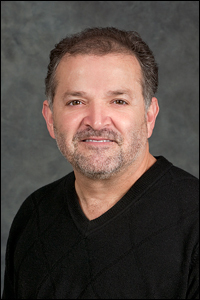 Lalo is currently Professor of Music and Director of Percussion Studies at Middle Tennessee State University. He received his Bachelor of Music degree from Texas A & M Corpus Christi and a Master of Music from the University of North Texas. Lalo has extensive experience both as an educator, composer, author, and performer. Lalo was named Nashville’s Top Five 1998 Percussionist of the Year Award and “Nashville Scene’s” 2012 “ Best Latin Jazz Musician. Lalo has toured with many artists including the "Take 6" Summer 1996 tour of Japan. Other performances include; the Corpus Christi Symphony Orchestra, the Nashville Symphony, the Nashville Jazz Orchestra, the Nashville Chamber Orchestra, the Nashville Chamber Chorus, the Nashville Ballet, Six Pence and None The Richer, Clay Walker, Allen Vizzutti, Arturo Sandoval, and Sherry Lewis to name a few. Mr. Davila can also be heard on Kirk Whalum's Grammy-nominated CD “Hymns In The Garden”. Currently, Lalo performs with several Latin groups including his own band "Lalo Davila and Friends". Most recently, Lalo’s voice and playing can be heard (as Jafar) in Disney’s Dual Language Series “Aladdin”, “So You Think You Can Dance”, “Curb Your Enthusiasm”, The movies “People Like Us”, “The Amazing Burt Wonderstone”, “McFarland USA”, and “The Equalizer”, 2012 PlayStation game “Thieves in Time”, “Star Wars”, Black Ops III, “Knights of the Republic”, and America’s Funniest 2010 Commercials. Lalo has also composed music for the television shows, “Drop Dead Diva”, “Prison Break”, “The Bridge”, and “Burn Notice”.